Welcome to CHEM 130. This is an introductory chemistry course designed for students with no previous exposure to chemistry . 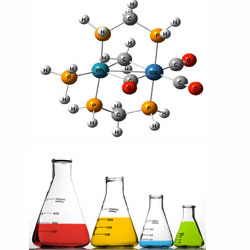 Topics include dimensional analysis, inorganic nomenclature, atomic and molecular structure, bonding, chemical reactions, gas laws, solutions, acids-bases, oxidation - reduction, equilibrium and electrolyte systems.